Check Out The Discounts - There Are Always Some Cookies In the Jar! 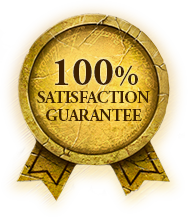 LordOfPapers.com has a Money-Back-Guarantee thoroughly written. No customer left unsatisfied! LordOfPapers.com are strongly for the student-friendly pricing. No hidden charges applied! Get yourself 15% DISCOUNT on it! We have become one of the most well regarded internet writing services in business today. The reason that we have earned that distinction is in large part due to our loyal customers. We also know that our customers work hard for the money that they spend on our services. This is why we have chosen to implement a discount policy that rewards customers who are loyal, and customers who are kind enough to give us a chance to write for them. If you would like to know more about our discount policy, please continue reading. After a customer places four orders with us, or they place orders in two sequential semesters, they are invited to join our loyalty program. We then give them a discount of 15% off of their next order. After that, they receive 5% off of any future orders. Loyal customers may also receive special discount offers via email. In some cases, a student may choose to place a very large order. When they do so, they are entitled to a volume discount. The exact details of this discount will depend on the specific size of the order. However it can be between 5% and 15%. If you are planning to place a large order, we recommend that you speak with a customer service staff member first. They will calculate the amount of your discount for you. If you try Lord of Papers for the first time, you will receive 15% off of your first order. If you have been referred by a friend, please let us know. For giving us their endorsement, we will also send your friend a discount to be used on their next order. We offer discounts to business customers and job seekers on a case by case basis. Contact customer service for more details.